Located in a private, gated community on the sand with your own private beach area. We have a lifeguard in the summertime in front of the house. We have 2 large flat screen TV's ( one is a Smart T.V.) plus TV's in all but one bedroom. We have a DVR on the two main TV's and 2 DVD players. We also have wireless internet. There are decks on each floor. We are within 2 hours of high and low desert, mountains, large variety of restaurants, theaters, airports, amusement parks and the list goes on. WE STAYED HERE FOR 6 WEEKS IN WINTER AND LOVED THE LOCATION. THE HOUSE IS HUGE AND OFFERED LOTS OF ROOM FOR ANY GUESTS WE HAD. THERE ARE VIEWS OF THE OCEAN FROM MOST ROOMS. LEAVING THE BEDROOM DOOR OPEN AT NIGHT PROVIDED THE MESMERIZING SURF SOUNDS WE DREAMED OF. THE CLOSE PROXIMITY TO THE ADORABLE TOWN OF Laguna Beach WAS PERFECT. WE LOVED WALKING THE BEACH OR JUST SITTING ON ONE OF THE DECKS LAPPING UP THE SUN, WATCHING THE PADDLEBOARDERS, SURFERS, DOLPHINS AND, OCCASIONALLY, WHALES. NANCY AND PAUL RESPONDED VERY PROMPTLY TO ANY OF OUR REQUESTS AND WERE LOVELY PEOPLE. THE HOUSE WAS BUILT IN 1940 AND SHOWS SOME SIGNS OF ITS AGE; HOWEVER, WE STILL LOVED LIVING THERE AND WOULD CONSIDER IT ONE OF OUR "SNOWBIRD" WINTERS AGAIN. THE GATED NEIGHBORHOOD IS VERY QUIET AND PLEASANT PERCHED ON THE SIDE OF A HILL DESCENDING DOWN TO THE LOVELY Victoria Beach. My family and I have been looking for the perfect beachfront property to rent for years and we finally found it. This rental has it all. 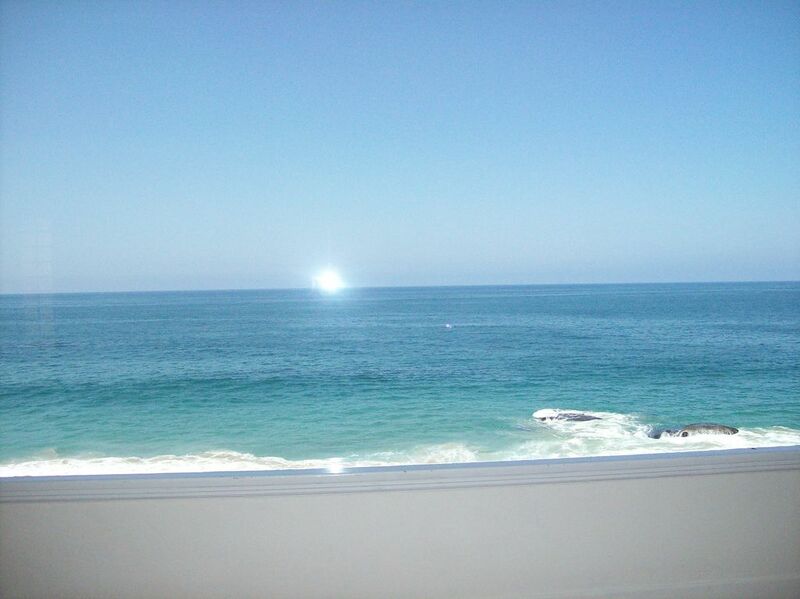 Perfect location (beachfront, gated community & minutes from downtown laguna), secluded, spacious (plenty of space for a big family or extended family), accommodations we wonderful, and the unit provided everything we needed (beach toys, etc). We couldn't have asked for a better rental. We will be returning for years to come. We have returned from a wonderful trip to Laguna Beach and would like to thank you for the rental of your house . Our 3 grandchildren loved the beach and their own room filled with staffed animals. The adults enjoyed well-stocked kitchen and the closeness to downtown Laguna, food shopping and restaurants. Your home was clean, very secure, spacious, comfortable and a real home from home. We are located on the beach and only a couple of steps to your own private beach area. We are conveniently located near the famous Laguna Festival of Arts, Sawdust Festival, Dana Point Harbour, Newport Beach, Disneyland and Sea World.